Austin Scottish Rite Theater’s spring break and summer camps offer a week-long exploration of performance topics. At week’s end, campers present a showcase performance on the historic Austin Scottish Rite Theater stage. We offer camps for activities like Acting, Puppetry, Dance, Shakespeare, and Stage Combat! Camp Hours: 9:00 a.m. – 4:00 p.m. Questions? 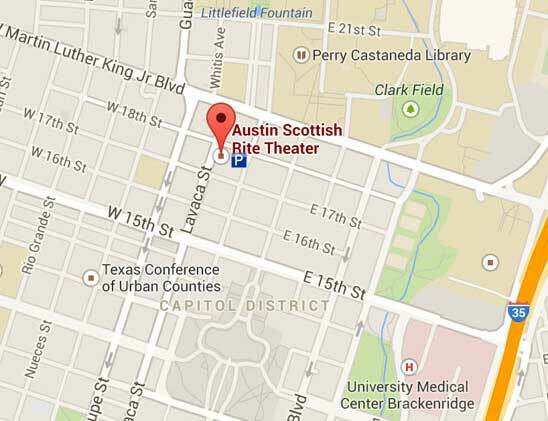 Contact us at 512-472-5436 or education@scottishritetheater.org. Actors Up! campers spend their days with professional actors and experienced teachers. Camp will include sessions in improvisation, devising, movement, and performance ending the week with a showcase performance. Participants will explore such themes as Imagination, Storytelling, Stagecraft, and even Stagefright! The art of stage combat is seen every day on stage and screen. Campers learn the basics of stage combat using different weapons and fighting styles each day. Participants gain new respect for what it takes to bring combat to life on stage. The week culminates with presentations of campers’ own choreographed fight sequences. Dancers Up! campers focus each day on hip-hop dance and choreography, culminating in a showcase performance of their own creation on the Scottish Rite Stage. Campers will dance their way through a week of exciting activities. Puppets Up! 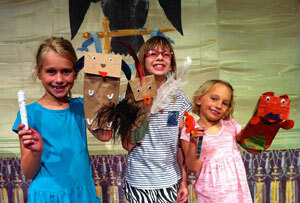 provides full immersion in the world of puppetry. Under the instruction of expert teachers and puppeteers, campers make and operate various styles of puppets, including finger puppets, sock puppets, found object puppets, and shadow puppets. The week of camp wraps up with a showcase puppet production on the Scottish Rite Stage! Shake Up! with Shakespeare is for serious — and seriously playful — young people who are ready to focus their minds and bodies on the challenge of bringing the Bard to life on the historic Scottish Rite stage. Camp days are filled with mental and physical exploration of Shakespeare’s works, all culminating in a final public performance. For performers who love to sing – and want to do so in the spotlight! Students arrive on the first day knowing 1-2 songs they’d love to share onstage. The rest of the week is spent crafting a narrative that showcases the songs, with attention paid to vocal clarity, appropriate characterization, and expressive movement and choreography. The week concludes with a public performance of the medley of student-selected songs. For more information, contact 512-472-5436 or education@scottishritetheater.org.